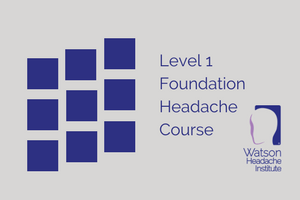 You will receive a Certificate of Attendance at the conclusion of this course and this will enable you to promote yourself as having attended the Watson Headache® Level 1 Foundation Course. The Watson Headache® Institute directs you in this regard, using the ‘Marketing Permission Given to Course Attendees', whilst acknowledging the Watson Headache® Institute's intellectual property (including trademarks) and copyright rights. You do not have permission to create a title for yourself using the words Watson or Watson Headache®. 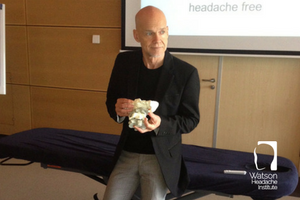 the many people with headache and/or migraine who have sought the help of health professionals (physiotherapists, chiropractors, osteopaths ad manual therapy doctors) who have attended one or more of the Watson Headache® Institute’s courses. You can take advantage of the following Payment Options if you have previously expressed interest in the Level 1 Foundation Headache Course or register within the advised timelines. We review our fees annually and if there is to be an adjustment it will take place in the new financial year. Option 1: Priority Registration Fee AU$1,297 (Saving of $300 off the Standard Fee AU$1,597) Payment in Full at time of Registration, by six weeks before the course. Option 2: Early Bird Registration Fee AU$1,397 (Saving of $200 off the Standard Fee AU$1,597) Payment in Full at time of Registration between six weeks and by three weeks before the course start date. Option 3: 2 Part Payment Plan AU$1,497 (Saving $100 off the Standard Fee AU$1,597) One payment of $748.50 - at the time of registration and one payment of $748.50 - 30 days later, Payment in Full two weeks before the course start date. Option 4: Standard Registration AU$1,597 Payment in Full at time of Registration between three weeks and one week before the course start date. Where a course is hosted by a 3rd party, the course fees are set by the course host. The Watson Headache® Institute is not responsible for any variance compared with its fee structure. 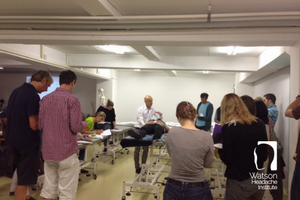 The Program may be adjusted at the discretion of the presenter to accommodate the course content and patient demonstrations.